The workshops offered are all instructed by Hans Kruse. There is no subcontracting to other photographers. Hans Kruse has now instructed 61 workshops since 2008 and will optimize every workshop for the participants level, weather and locations given the experience accumulated over the years. The workshops are all described through the detailed description for each workshop. Please read the detailed description before signing up. All workshops are conducted in English and speaking English on a working level is recommended for participants. The usual mix of nationalities is truly international (Europe, North America, Asia and Australia). What did previous participants in photo workshops have to say? Signup for workshop newsletter to receive news about upcoming photo workshops from Hans Kruse Photography. All workshops include accommodation in a single room and all meals in the price of the workshop. Please notice that transport is not included, but see special arrangements for the Lofoten workshop. See also workshop descriptions for details. If you do not drive or if you are not comfortable driving then please contact me to find a solution. The first price is for a single room. The second price is for two sharing a double room per person. Please read the section on the optional extra day. Please note that I do not normally provide discounts for my workshops (one exception in 2019). However I do reward those who go on many workshops with me. After 6 workshops paid and attended, I offer one workshop for free. This means that the participant will not pay any fee to me and pays the hotel, meals etc. I will notify those who have qualified or are close to. Cancelation policy: At signup you pay the deposit to reserve a seat on the workshop. About two months before the workshop takes place the final pay is due and see each workshop description for the time. Up and until 3 months before the final pay the deposit is refundable. Between 3 months before the final pay and the final pay time, a cancelation it not refundable but the deposit can be transferred to another workshop of your choice. After the final payment is due any cancelation means no refund of deposit or final payment except when a replacement can be found and then a full refund can be done or moved to another workshop. All workshops announced will take place so you can book your flights and other transport early. Lofoten, Norway February 2-8, 2019. Description. 7 days 1995/1745 Euro. See 2) and 3) below. Sold out and completed. Tuscany, Italy May 4/5-10, 2019. Description. 6/7 days. 1495/1420 Euro. See 1) below. Sold out. Dolomites, Italy June 7/8-15, 2019. Description. 8/9 days. 1895/1815 Euro. See 1) below. Sold out. 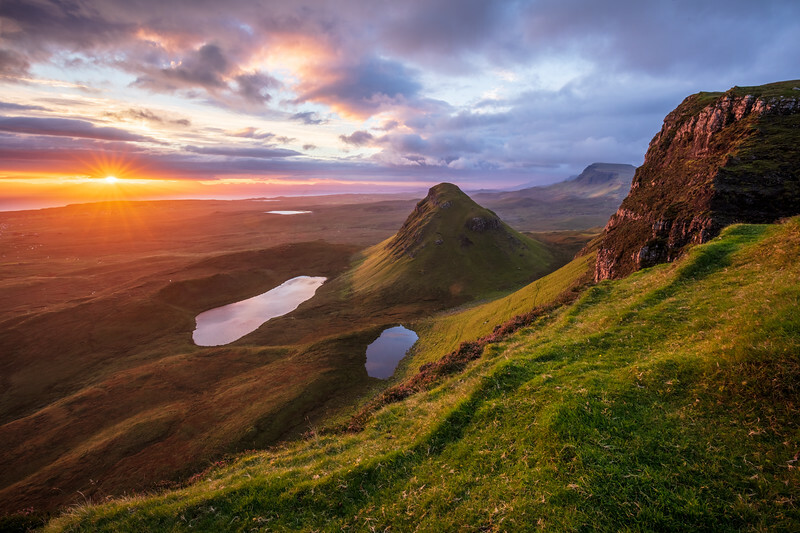 Isle of Skye, Scotland September 14-20, 2019. Description. 7 days. 2195/1920 Euro. Sold out. Abruzzo Italy October 26/27 - November 1, 2019. Description. 6/7 days. 1595/1520 Euro. See 5) below. 7 of 10 seats available. Tuscany, Italy November 2/3-8, 2019. Description. 6/7 days. 1495/1420 Euro. See 5) below. 3 of 10 seats available. 1) The optional day is provided at no extra workshop fee. The participant pays for the extra day directly to the hotel at checkout. 2) Notice no optional day on this workshop. 3) Transport is not included but will be organized. 4) Notice no optional day on this workshop. 5) If you signup to both the Abruzzo October 2019 and Tuscany November 2019 workshops you will get a 10% discount on both workshops and also participate in extra shooting on November 1st and morning of November 2nd. This is only available if you signup for both workshops.